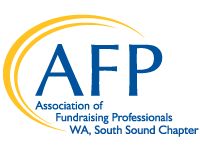 If you have a job that you would like shared with the AFPSS community, please email the job title, organization and posting link to afpsouthsound@gmail.com. Submitted jobs are shared through the AFPSS monthly newsletter. You can sign up for the AFPSS newsletter here. You may also post jobs to the AFPSS Facebook page.